On Monday 7th January Lubomír Metnar, Minister of Defence, informed the Government on two public commissions for two state owned enterprises founded by the Ministry of Defence. 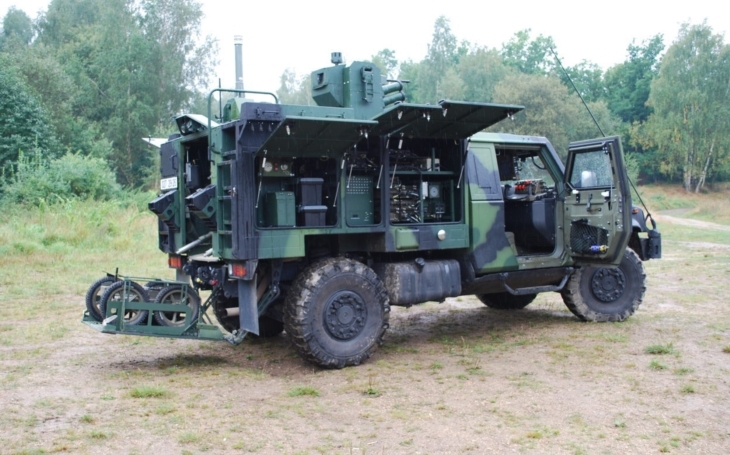 The Military Research Institute (Vojenský výzkumný ústav – VVÚ) is to sign contracts with 17 subsuppliers who will provide parts necessary for delivery of 80 Light Armoured Vehicles IVECO by the VVÚ by 2022. The other commission is awarded to the Military Technical Institute (Vojenský technický ústav – VTÚ) and concerns providence and installation of components of the Integration of national voice and communication services for the Air Command and Control System (ACCS). The commission worth CZK 51 million (USD 2.3 million) is the last phase of the project which runs since 2010. The Government also discussed purchase of 4 brand new L-39 NG trainer jets from AERO Vodochody at CZK 1.1 billion (USD 49 million). The planes are meant to replace the aging L-39C operated by the Flight Training Center (CLV) in Pardubice, which provides comprehensive and modular training programs for both fixed wing and rotary wing aircraft pilots, flight engineers, ground crews and maintenance personnel. Minister of Defence has visited the National Cyber Security Center (Národní centrum kybernetických operací: NCKO), together with the director of Military Intelligence, Brigadier General Jan Beroun. The center is in the process of creation; it was opened of 13th May 2014. Its role is to coordinate cooperation in preventing cyber attacks, in addressing the ongoing attacks on the national and international level and in the drafting and adoption of measures to deal with incidents. To become fully operational the center the law on military intelligence needs to be amended, to bring the definition of cyber defence and to entitle the Military Intelligence with its provision. Last year the Ministry of Defence utilized 59.8 billion (USD 2.68 billion) crowns out of its overall budget and nonbudget resources of CZK 63.3 billion (USD 2.84 billion; 94.5 %), and spent 6.9 billion (USD 309 million) more than in 2017. Among the largest expenditures of 2018 we could find the lease of the JAS-39 Gripen fighter jets and their modernization, purchase of the Light Armoured Vehicles (CBRN), Harris communication devices, RBS-70 Anti-Aircraft Missle System, and airfield radar systems.